Explore a Filipino approach that is also an act of decolonization. In the foreword of the 1994 Pamamaraan: Indigenous Knowledge and Evolving Research Paradigms the editors state that a growing number of Filipino scholars are deeply conscious of the richness of the Philippine culture and are frustrated that much of the distinctive knowledge, oral and tacit knowledge, was not getting into mainstream research. “For this lack, the Filipino scholars have often failed to gain access to what is rightly their heritage — the katutubong kaalaman ng ating bayan (indigenous knowledge) — a vast storehouse of wisdom and knowledge that resides with the tao. 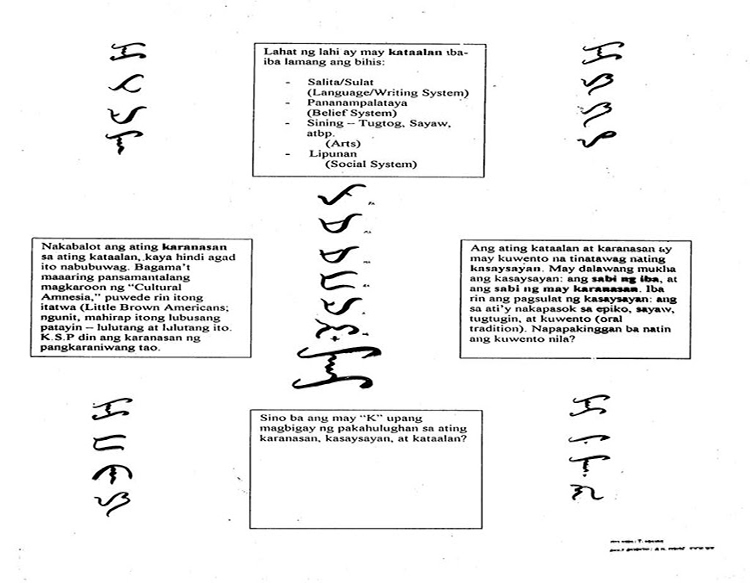 The basic assumption of the book Pamamaraan is “that a special kind of knowledge and wisdom resides with the tao” and that it exists as a popular culture of Filipino people but that it is a laborious challenge to follow through on this knowledge via purely Western research approaches. Editors Obusan, Enriquez and Enriquez write that the book created a profile of the Filipino researcher or mananaliksik “as someone who is involved with the kapwa, and not just an “objective” bystander, zealously guarding “one’s data” for fear of data contamination. The Filipino mananaliksik appears to be a person who relates to one’s kapwa beyond the concept of “subject”, but rather as a kapwa-Filipino from whom one can understand the katutubong kaalaman ng ating bayan [indigenous knowledge of our people]. The concept of hiyang (apt, fitting) methodology in research underlines that each culture is unique, without in any way disregarding logic, global knowledge and heritage, etc. It acknowledges our utang na loob (gratefulness) to those who have documented their experiences in doing research, but I am sure that these very pioneers in the research methods would not stop anybody from approaching research according to a person’s inspiration and insight – for this would be tantamount to going against the very spirit of what is research. Research methods are not sacrosanct. They are not dogmas. If some would regard research consciously or unconsciously in this light – then that is very sad for it would be going back to the Dark Ages. The Filipino Spiritual Culture, Reprint Series No. 1 by Dr. Teresita B. Obusan and Angelina Enriquez. 1994. Pamamaraan: Indigenous Knowledge and Evolving Research Paradigms, edited by Teresita Obusan, Angelina Enriquez and Virgilio G. Enriquez. Asian Center, University of the Philippines (Diliman, Quezon City). 1994. Pakikipagkapwa: The Pamathalaan Approach to Leadership.Ed. by Dr. Teresita B. Obusan. 1998. Roots of Filipino Spirituality,Ed. by Teresita B. Obusan. 1998.